If you have a Smart Phone you can register your cell number here to start getting Target Mobile coupons. These come about every two weeks in the form of a text that includes a hyperlink. To use your coupons, you will need to click on the hyperlink and upload the page that contains the barcode for the cashier to scan at checkout. These mobile coupons have a limit of one use per item. Thanks, Common sense with money & Keeping Cents! NOTE: This post is based on the Washington DC area weekly ad, which usually has the same prices as the rest of the Mid-Atlantic region. See your full local ad. Our stores double coupons to .99 here. White or Bi-Color Corn is 12 for $1.98, or .17/ear. 3-lb. Bags of Yellow or Red Onions are $2.50. 5-lb. Bag Russet Potatoes is $2.99. Ball Park Beef Franks and Hebrew National Beef Franks are BOGO at $4.99, and the .75/2 Ball Park coupon from the 5/1 RedPlum insert should double, making it $3.49 for two packs, or print a .75/2 Ball Park Deli Style coupon. There was a $1.00 off Hebrew National coupon in the April and June issues of All You Magazine. Heinz Ketchup 32-36 oz. is $1.69 with in-ad SuperCoupon, limit 2. Use the .25 off coupon from the 5/22 SmartSource insert, which will double, making it $1.19. Jack Daniel's Barbeque Sauce is .99. Use the .55 off coupon from the 5/8 SmartSource insert, which will double, making it FREE. Safeway Hamburger or Hot Dog Buns are .99 with in-ad SuperCoupon. Vlasic Pickles are BOGO at $2.99. Print this .55 off coupon, which will double, and you'll get two jars for just $1.89. Wish-Bone Salad Dressing is $1.19 with in-ad SuperCoupon, limit 3. Buy 2 and use the $1.25/2 coupon from the 5/22 RedPlum, and you'll pay just .56/each! Banana Boat Sport Sunscreen is $4.99. Use the $1.00 off coupon from the 5/22 SmartSource insert, and pay just $3.99. Colgate Total Toothpaste is $1.79 with in-ad SuperCoupon, limit 4. Use the $1.00 off coupon from the 5/1 SmartSource insert and pay just .79. **Drugstore Game players, before you comment that .79 is too much to pay, remember that plenty of non-Gamers will be thrilled with this price. Nivea Lip Balm is .99, so with the $1.00 off coupon from the May All You Magazine, it will be FREE. 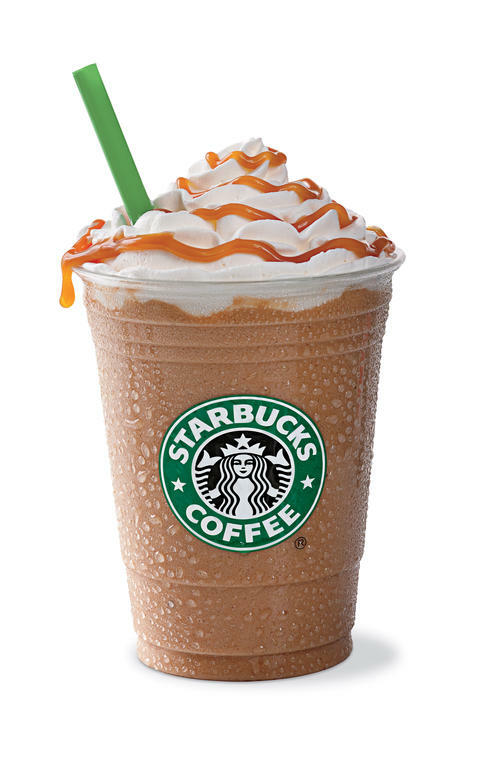 From May 27-30th, get a Grande Frappuccino for just $2.00 after 2pm at Starbucks located inside participating Safeway stores. Buy 2 Coke or Pepsi 12 packs, Get 3 packs FREE. You'll end up paying $2.40/pack when you buy five. Blueberries are $1.99/pint, limit two. If they are Driscoll's brand, you can use this .50 off coupon, which will double. Lucerne Shredded or Chunk Cheese is $2.00. Nabisco Snack Crackers or Toasted Chips are $1.99, limit four. There was a $1.00/2 Ritz Crackers coupon in the 5/15 SmartSource insert. Wednesday: 2-liter Pepsi/7-up is .69, limit two. Tostitos Tortilla Chips are $1.67, limit two. Thursday: 93% Lean Ground Beef is $1.99/lb (this is a STOCK UP price!) and Kraft Singles are $1.50 each. Friday: 2-lb. Red Strawberries are $2.99, and Safeway Angel Food Cake is $1.99. Saturday: Whole Seedless Watermelon is $2.99, limit two, and Tony Roma's Ribs are $5.00 each, limit four. Sunday: Arnold Select Rolls are BOGO at $3.49. Johnsonville Bratwurst Family Pack is $2.66/lb., limit two. Monday: Deli Counter Salads are $2.99 each, and Signature Cafe 16-piece Fried or All Natural Chicken is $8.99. Remember to look for the Simple Nutrition brochure with the $1 off $5 produce coupon, good through August. Add E-coupons to your Safeway Club card at Safeway.com. Safeway is no longer participating in the Cellfire and Shortcuts e-coupon programs. Read Safeway's Coupon Policy, but know that store managers are allowed to set their own policy. For more Mid-Atlantic store match-ups, see my network of NoVA Grocery Deals. For coupon matchups at stores nationwide, see The Frugal Map. Best Deals of the Week at Target From TotallyTarget! These are the best deals I see for the week of 5/29. Remember to watch your coupons this week, many of them will be expiring on 5/31. Please keep in mind it is possible for some sales & prices to vary by region. This post is just a highlight- the complete ad with matchups is HERE. It is always a good idea to print the Target coupon policy and take it along with you and bring your reuseable bags for 5¢ credit each. If you’re looking for coupons for other items on your list, check the Coupon Database to see where you can find it or if there is a printable coupon available. This post is just the best Gift Card & Special Purchase deals I see for the week. There are several inclusions on the P&G & Pet Deals and you can see all the inclusions and all other Special Purchase & Gift Card Deals HERE in the complete ad. Keep in mind that you do not have to buy 2 identical products, and can mix and match as long as they are in the same deal. You can also view any other unadvertised or extended Special Purchase or Gift Card Deals by visiting the Special Deals Page. = $10.98 for two 8 packs & two 3 To-Go packs or like getting for just under 50% Off. Or like paying .68 cents per box of tissues plus two 3-packs as a bonus. = $12.96 for two 18 packs & 2 Freshmates. Or like paying .36 cents per double roll plus 2 free Freshmates. If you have any $1/1 Freshmates coupons, (from mailer booklets or found inside P&G products) it will be even better. NOTE: If your store allow as $ Off along with a B1G1- you may also be able to buy 2 more Freshmates and use two B1G1: FREE Charmin Freshmates 40 ct wyb Charmin 9 pk+ TQ 5-1-11 Target P&G Insert x6/30 making it even better. = $42.96 for 2 Big Packs & 2 Large Wipe Refills after Qs & Gift Card or like saving $21*If your store allows, you may also be able to buy 2 packages of Pampers Sensitive Wipes and use two -B1G1: FREE Pampers Sensitive Wipes 36 ct wyb Select Diapers TQ 5-1-11 Target P&G Insert x6/30. = $32.97 after coupons and Gift Card or a savings of almost $12. *The Jean Diapers are Little Movers, and your store may allow you to also use the coupon for a FREE $5 Gift Card wyb 2 Huggies Little Movers 48 ct+ Target Q 3-27-11 SS x5/31*. It will be a YMMV. 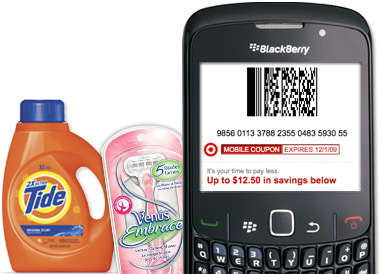 -$1.50/2 Pantene Hair Care Items ETS Target Coupon 5-1-11 Target P&G Insert x6/30-$3/2 Pantene products ETS 5-1-11 PG x5/31= $3.08 for 3 products or $1.03 each after Deal and coupons. -$4.50 (use three $1.50/2 Pantene Hair Care Target Coupon 5-1-11 Target P&G Insert x6/30-$9.00 (use three $3/2 Pantene products ETS 5-1-11 PG x5/31= $1.66 for 6 Pantene Products or .27 cents each after Deal and coupons. = $3.49 for 2, but I now hear Target Coupon Peelies have been spotted – so keep an eye out for them! -B1G1 Dry Idea or Right Guard Product 5-1-11 RP x5/31*Buy 2 and use a B1G1 and a $1/1 TQ to pay $1.49 for 2. Even better if your store allows a 2nd TQ. = FREE Prints at Target! Some of you may have noticed a special blue card inside select 10 packs of Energizer batteries. You can collect 3 Codes from these packages and get a $10 Reward. Reward is your choice of of a Prepaid MasterCard Card, PayPal or you can make a donation to the National Park Foundation. You can enter codes HERE. Since they are on sale this week for $7, you could buy 3, use three $1/1 coupons and pay $8 for 30 batteries after coupons and Reward. *Some people report finding manufacturer’s peelies on packages too, so keep an eye out! -B1G1 FREE Suave body wash or lotion 4 oz+ up to $3 5-22-11 RP x6/19= .94 cents after a stack with a $1/1 MQ & a .75/1 TQ. Or if your store allows, you can use a B1G1, a $1/1 MQ and a .75/1 TQ and get 2 for the same price. -$2/1 Pork Ribs wyb any KC Masterpiece BBQ Sauce= .20 cents each after price cut and $1/1 coupon and if your store will allow also get $2 off Pork Ribs. Many of you are starting to report clearance in the limited edition value size and bulk packaged items. Lots of the 2-pack Family Size Cereal, Health & Beauty multi-packs and more. Also lots of pet food has been on clearance- Alpo, Pedigree & Chef Michael’s cans to note. The $2/6 Purina Chef Michael’s Canine Creations 05-08-11 SS is definitely one to bring with you- as these have been spotted at 30% Off- between clearance & coupon it could make for some cheap Cans! And clearance in both Frozen Food and in Toys has still been going strong, so definitely 2 sections of the store to check out! You can always sort the blog by Clearance to check out the latest posts, some of which have coupon matchups and plus you can see what other readers are reporting in the comments. New York & Company- Save $40 or $45!